Who: Ward’s Corner, the Creative Citizens Project, and Open University. What: Community conversation about market refurbishments and development proposals. Result: The report of community engagement was submitted as evidence in support of the planning application, which has been approved. 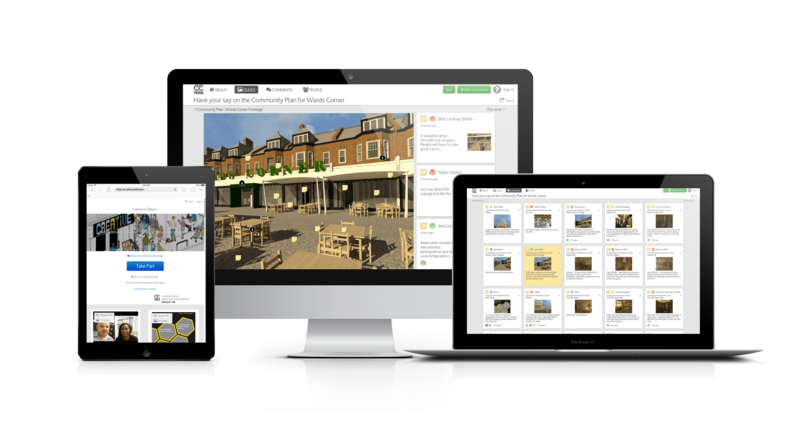 This example is of a community-led planning online engagement at Ward’s Corner in Haringey. The commmunity used Stickyworld to open up a conversation about their development proposals for the refurbishment of the existing market. 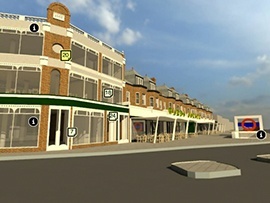 Organised with the support of the Creative Citizens project and the team at Open University, the Ward's Corner community were developing a design proposal to maintain the market instead of knocking it down. They needed a tool to help explain their proposal, get the community talking about it, and to show evidence of engagement for the planning application. Community architect Abigail Stevenson developed designs which were rendered as 360 panoramas and then linked together to form a virtual tour of the new spaces which people have commented on. The Stickyworld portal the organisers created was also used in face to face meetings. All the content was created by the community themselves, and no special services were required from Stickyworld's team. Their site proved extremely popular with local residents, and an involvement report generated of all comments and submitted to Haringey council as evidence in support of their planning application. The Ward's Corner Coalition has subsequently received planning permission in April 2014. This room remains open for the community to carry on the conversation as they look to work with developers who can develop their proposals at the next stage. To learn more about how Stickyworld can help with your project, book a free demo today!